Good hygiene is very important when travelling, especially by bike. It is something often not taken seriously. When cycle touring, with all the sweat, bacteria can build up causing infections or boils. If you are travelling for a long period, you don’t need that! When finding products to fill my panniers up and weigh down my bike, I came across Waterless Pits and Bits body wash and shampoo. They both don’t require any water so can be useful when out in the wild or away from showers. They are also very quick to use if in a rush. They come in small 65ml plastic bottles so are handy for easily fitting into your luggage. Depending on use, I find that they can last up to a month if used a few times a week. If your planning a long trip, taking years you may need to take a couple of bottles! Both very simple to use and only need to be wiped off with a towel after being applied. They shampoo is especially great, and smells good too, apparently apple fragrance! It cleans your hair and leaves it soft and without any sticky residue left. The body wash is un-fragranced and has the option of being antibacterial, something I’d definitely recommend. It cleans, moisturises and eliminates odours. Both products are alcohol free, paraben free and have a balanced pH. All made in the UK! 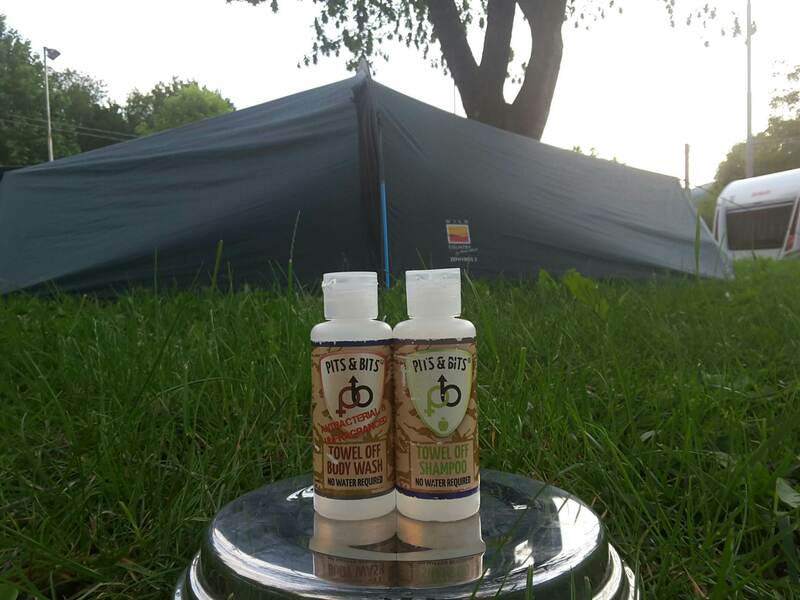 If your planning an adventure or travel which may involve being away in the wild, or just not wanting to pay for campsite showers, I would highly recommend both of these products from Waterless, Pits and Bits. They cost £2.49 each for 65ml and links for shampoos and body wash can be found here.